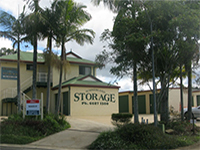 GNF Real Estate in the Bangalow Village near Byron Bay, manages Summerland Storage. Since 1976, GNF has offered a unique standard of service that far exceeds client expectations. Call GNF on 6687 2833. We have sheds in two complexes. 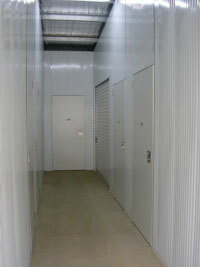 Our Standard Sheds have offered quality, cost effective storage since 1998. Our new, facility has a greater selection -large sheds with 3+ metre ceiling heights, insulated roofs, access for medium rigid trucks, and state of the art drainage and ventilation. We have over 20 different shed sizes to choose from - some with 3+ m insulated ceilings and 3m door heights. 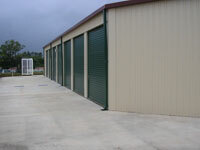 Some smaller shed sizes have 2.1m high doorways. All partition walls between individual sheds are sealed at the bottom to assist prevention of unlikely spillage from entering neighbouring sheds. All facilities have driveways designed to remove rainwater fast and efficiently. 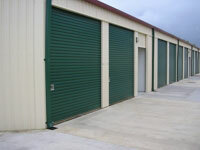 We have external storm roller shutters on all passage doorways. All our facilities are located well away from any creeks or rising water tables. While tenants should always take care of their goods by keeping their sheds clean and pest free, Summerland Storage makes every effort to assist in this area with strategically located pest control. Summerland Storage has been a member of the Self Storage Association of Australia since 1998 and highly recommends the Association Website for any Storage Enquiries throughout Australia and New Zealand.